Aaron Butler has been selected as an intern for the Central Region. Currently Aaron is a senior at Iowa State University studying turfgrass management under the advisement of Drs. Adam Thoms and Nick Christians. Aaron’s interest in turfgrass management and the golf industry began with his college search. Throughout high school he loved to play golf and worked for a local farmer. 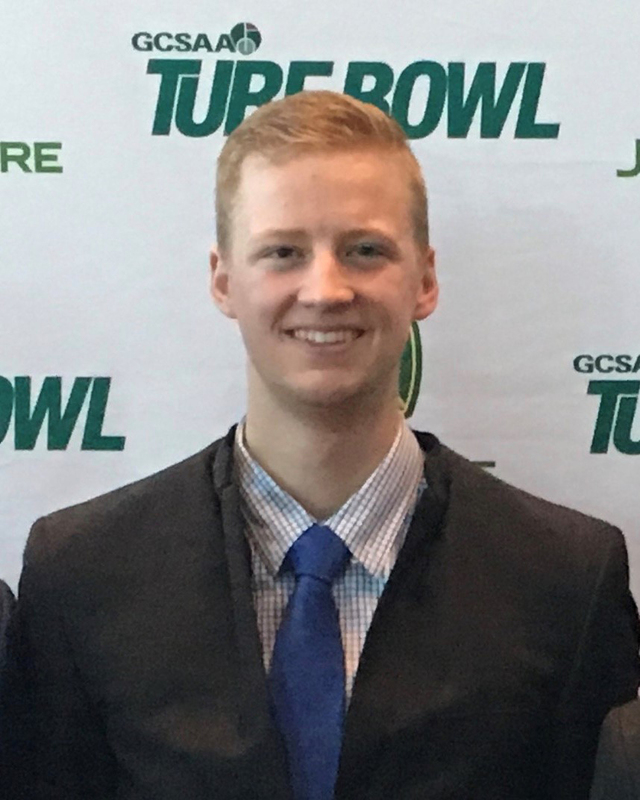 Realizing his love for both working outside and being on the golf course ultimately influenced his decision to study turfgrass management in college. Aaron’s previous internships include; Pikewood National Golf Club (Morgantown, West Virginia) and Spring Hill Golf Club (Wayzata, Minnesota). This summer Aaron will be working at the Country Club of Birmingham (Birmingham, Alabama).